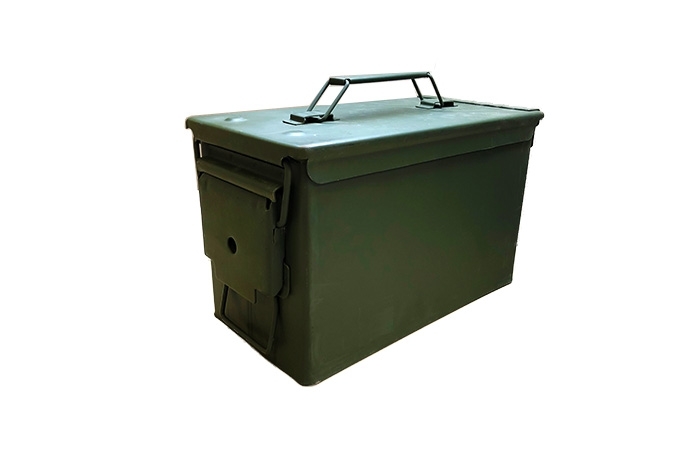 U.S. Military Surplus M2A1 .50 Cal Ammo Can - Made with 100% Steel. However, there is a rubber O-Ring in the interior to keep contents from exposure to dust or moisture. Front metal latch secures the Ammo Can firmly. Easy to transport with swing-up handle.